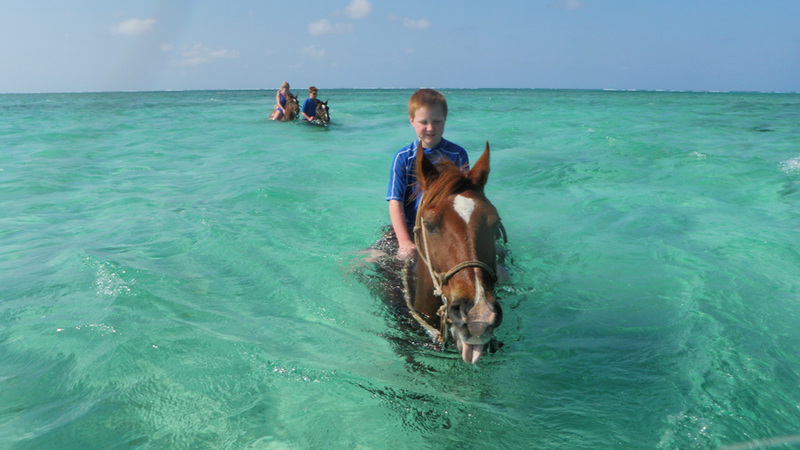 Cool off at the end of your ride with a refreshing, ocean dip on horseback with our Caribbean Sea Swim. 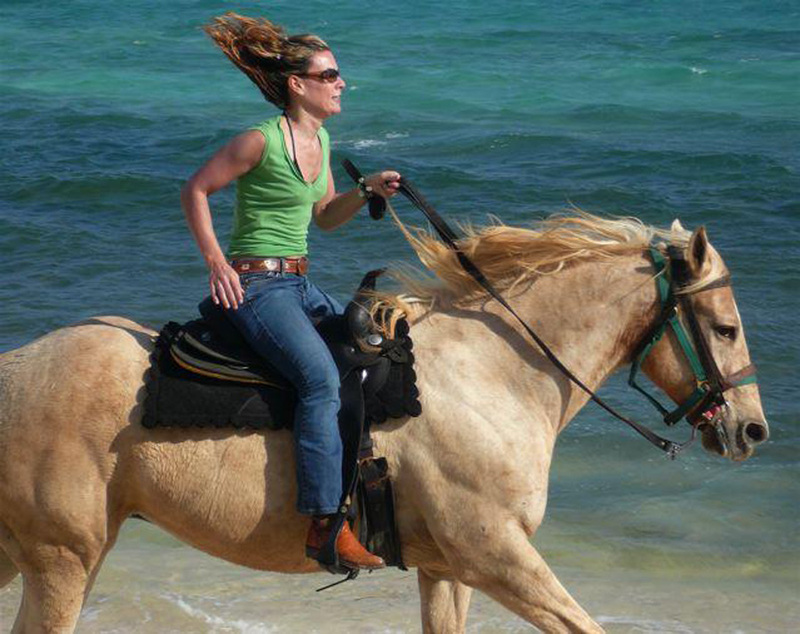 Spirit of the West is a Grand Cayman based company offering horseback beach, trail, swim rides and more! If you are planning a vacation to the Cayman Islands, contact us right away and we will be more than happy to book you for an experience of a lifetime! Advance bookings are highly recommended to ensure you don’t miss out on your chance! Our tours are small and personal, so space is limited. Locals can enjoy great discounts and group rates, so if you live in the Cayman Islands and are looking for something wild to do, give us a call! 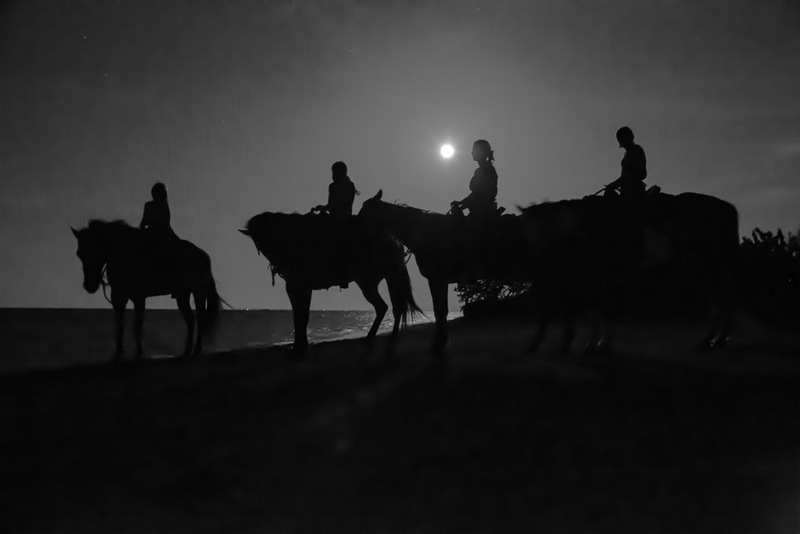 Group Beach Rides start at 8 yrs old. Group Swim Rides start at 14 yrs old. Private tours are slightly more flexible, so ask us about your kids. Most of our horses can carry up to 225lbs, but we do have a few that carry up to 250lbs. Cool, comfortable clothes are recommended. Hats and sunblock are advisable. Bring comfortable shoes – flip flops or slip-on shoes are fine. Wear swimsuits under riding attire if doing the Swim Ride. We provide free shuttle service for cruise passengers and hotels/condos from George Town to West Bay. If have rented a vehicle we will provide detailed driving directions. Yes, very well actually. Our swim rides go into depth intervals of 6′-7′ of water. Horses grunt. It’s ok – they really do love the water! Book a Private Ride and the guide will tailor the tour to your experience levels. We allow cantering at intervals, depending on the terrain, traffic and your riding experience – all at the guide’s discretion.